Is the Greyhound right for you? Find your perfect match now! The Greyhound is a fantastic beast — or at least J.K. Rowling, one of their biggest fans, thinks so. And it's not hard to see why: in addition to their incredible speed (these dogs can accelerate to 45 mph in 30 feet), they also have great eyesight. Their field of vision is 270 degrees, which is twice the human range. But it's not just their athleticism that makes their fans cheer for Greyhounds. 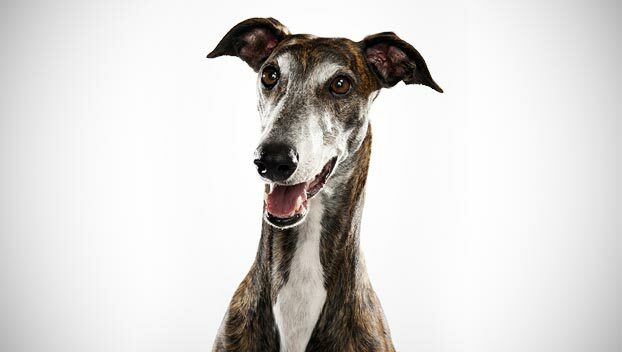 The Greyhound is among the oldest breeds of dogs — so ancient, in fact, that this breed gets name-dropped in the Bible. Bred as coursers and originally from Great Britain, these large-sized and medium-energy dogs can grow to between 60-70 pounds and live an average of 10-13 years. The breed is recognized by the American Kennel Club and classified as a member of the Hound group. WHAT IS A GREYHOUND'S PERSONALITY LIKE? Greyhounds are intense, sweet and even-tempered. They are devoted companions, very family-friendly, and they often get along well with children. Greyhound fans joke that this breed is so great you'll end up “chipping” if you get one—meaning you can't have just one. They also have very distinct ways they express themselves. Greyhounds “chatter” their teeth and often lean into you when they're pleased. WHAT IS GREYHOUND BEHAVIOR LIKE? Their strong prey drive is no joke — if you want this puppy to coexist peacefully with cats and other small pets, you'll need to socialize them early. Even then, some Greyhounds will never be able to live safely with small animals. If you're one of those heroes who rescued a retired racer, cat ownership is possibly not an option. Be sure to ask any rescue group whether their Greyhound has been cat-tested, if you're looking for one to share you with felines. These natural athletes will, of course, need space and room to run. But they're more than happy to lie around the house with you once they've had enough exercise. And that's not hard to do. Greyhound energy comes in short bursts and they're usually pretty mellow otherwise. They're also not especially barky, which makes them a surprisingly good apartment dog as long as you live close to a dog park big enough for them to sprint through. HOW EASY IS IT TO TRAIN A GREYHOUND? Greyhounds are a biddable breed, but they're smart and get bored quickly. Their incredible speed makes early, consistent work on recall essential. This canine cannonball isn't a great candidate for off-leash play outside a well-fenced area — anything small and fast is likely to catch their attention and inspire them to take off. HOW MUCH DO GREYHOUNDS SHED AND WHAT ARE THEIR GROOMING NEEDS? Greyhounds are a wash-and-go breed. 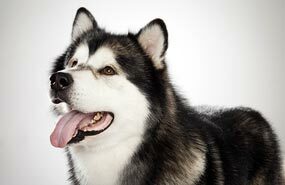 Their sleek, smooth coats don't require much grooming — just give them a weekly brush down and bathe them as needed. They're fairly light shedders. 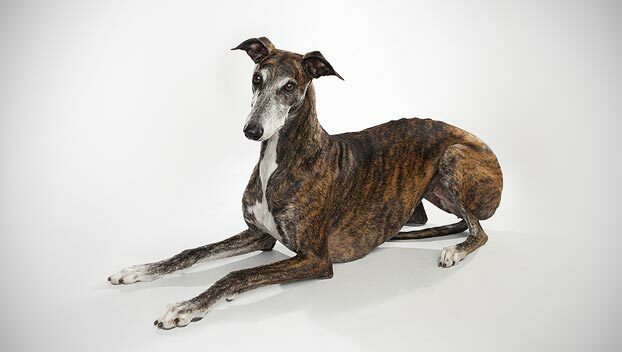 WHAT HEALTH PROBLEMS DO GREYHOUNDS HAVE? This is a generally healthy breed. 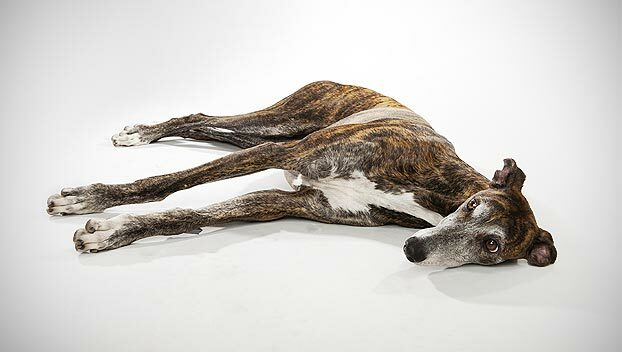 Some Greyhounds develop hypothyroidism or bone cancer. These dogs are especially prone to bloat, a condition that requires immediate attention from your veterinarian. Familiarize yourself with the symptoms of gastric dilatation volvulus (GDV) and contact your vet at once if you suspect your dog might be suffering from this ailment. Your Greyhound is first and foremost an athlete and may injure herself running or playing. Keep an eye out for pulled muscles, foot injuries, tail breakage, or tears in their taut skin. ARE GREYHOUNDS GOOD FOR PEOPLE WITH ALLERGIES? The American Kennel Club doesn't list Greyhounds among its breeds recommended for allergy sufferers. You can reduce your furry friend's impact on your allergies with frequent baths and brushings to reduce loose hairs and allergy-aggravating proteins in your pet's dander. Use a damp cloth to wipe off your dog after playing outside. 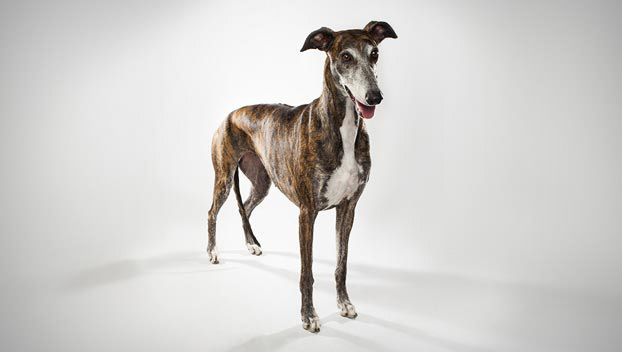 Smaller dogs have less surface area, so they produce comparatively less dander than larger breeds — definitely something to keep in mind with a dog as large as a Greyhound! Remember that no breed is 100% hypoallergenic, and any breed can aggravate allergies. WHAT IS A GREYHOUND'S BEST DAY? Ready…set…go! A Greyhound's best day definitely involves running or chasing — preferably both. A trip to the dog park or a short run by your side would suit this courser. Stop on your way home for tea and a good book, though; once she's run, this pup's more than happy to lounge by your side (or on your lap, if you'll let her) while you read her a story. SHOULD I ADOPT A GREYHOUND? This agile breed is surprisingly suited to apartment living, given their size — they don't bark or shed much, and with enough activity, they're happy to hang around and curl up with you. Their thin coats don't provide much protection or insulation though, so it's important to be mindful of temperature extremes. You probably know that many Greyhounds are racers, which is a controversial sport. It's always awesome to adopt a rescue dog, and if your heart is set on a Greyhound, get in touch with the large rescue community dedicated to placing retired racers. 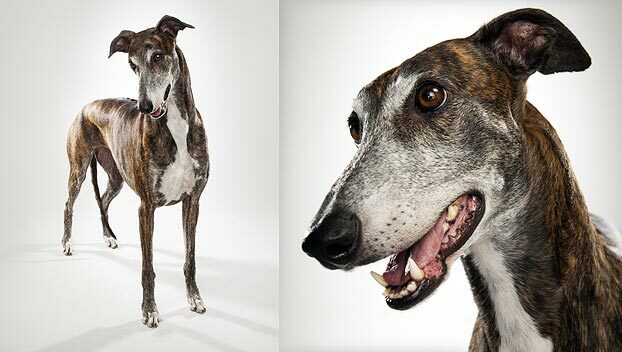 Have you decided that a Greyhound is the perfect dog for you? Why not be your new best friend's hero and adopt a rescue! Be sure to check out our article on what to expect when you're adopting a dog or cat.